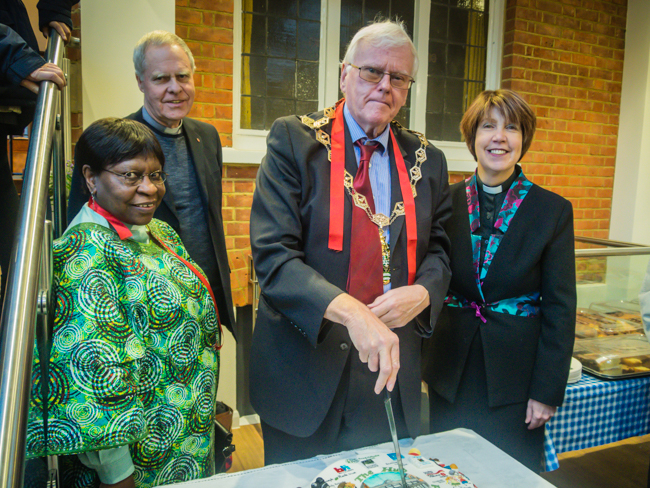 At the Covenant Service on Sunday 11th January we dedicated ourselves and the new building which was really fitting and also gave us the opportunity, as a church family, to thank those who had made an outstanding contribution, Bruce, Mike, Janice and Roger. We dedicate The Hub in the name of Christ, as a sign of our thanksgiving for your provision, as a token of our recognition of your presence with us and as an expression of our love.We pray that all who enter our premises may be touched by your presence here. May this place be a haven for anyone in need, a resting place for energy to be restored, a place of fellowship where friendships can be formed and a space all are welcome and where your love can be given and received.May we, the people of this church, be like spokes attached to the hub, taking your message to all who use our premises and out into the community.We look forward with confidence, in faith and in expectation for all that The Hub will be for us today and in the future, and for all that we shall do within and beyond these walls. The words of this prayer led us into our closing hymn by the American hymn and folk song composer Marty Haugen, Let us build a house where love can dwell …. with its chorus that echoes our hopes ….All are welcome, all are welcome, all are welcome in this place. ( STF 409). Our rousing singing of this hymn recalled John Wesley’s words at Aldersgate ‘ I felt my heart strangely warmed’. 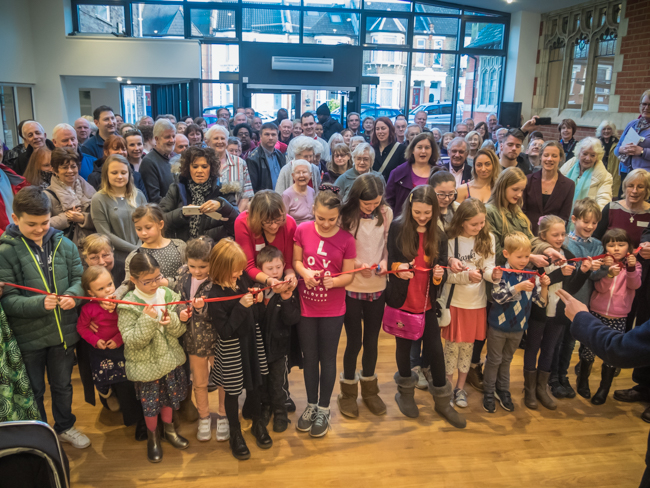 On Saturday 17th January 2015 our new area, to be known as The Hub, was officially opened. 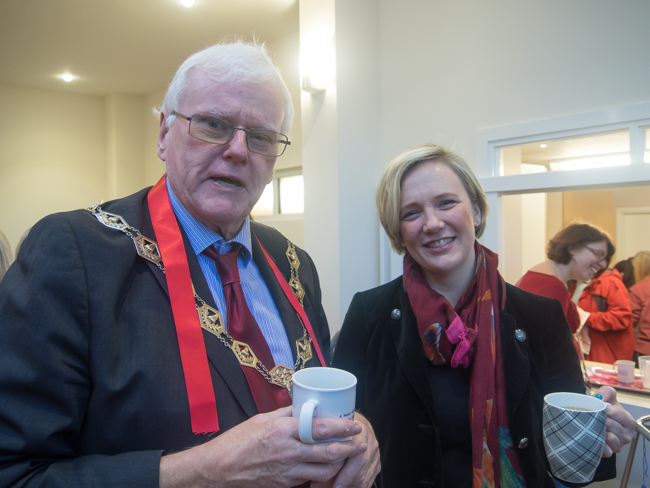 In a ceremony attended by the Mayor of Waltham Forest, local councillors and local MP Stella Creasy the ribbon was cut by the young people of the church. 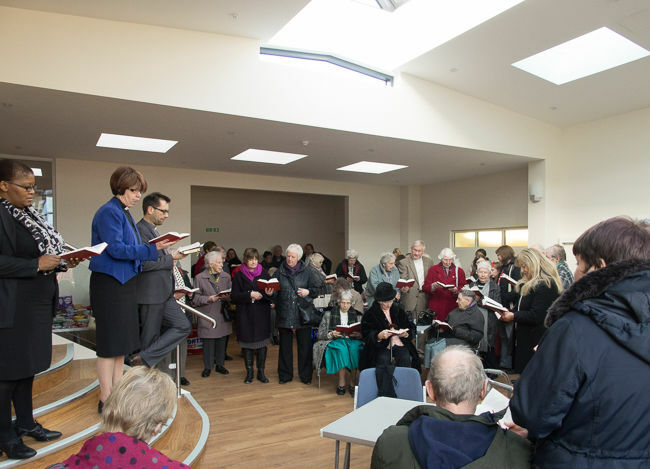 Members of the Church welcomed friends, neighbours, sponsors and ministers from other Churches to the opening which featured displays from the many organisations and clubs who use the Church premises as well as tea, sandwiches and cake. Centre stage was Janice’s celebration cake which illustrated all those who had funded this project: those who left a legacy, in memoriam donations, The Methodist Connexion, District and Circuit, The Joseph Rank Trust, The Walthamstow Circuit Trust, Allchurches Trust Ltd, The Norwood and Newton Settlement, The Beatrice Laing Trust, gifts from members and all the various fundraising efforts. We are very grateful to all who have made this financially possible. Fund raising continues as we still have loans to repay and to build up our reserves again but we are 90% of the way there. Already we wonder how we ever managed without The Hub as it is so central to the life of our church and hall users. 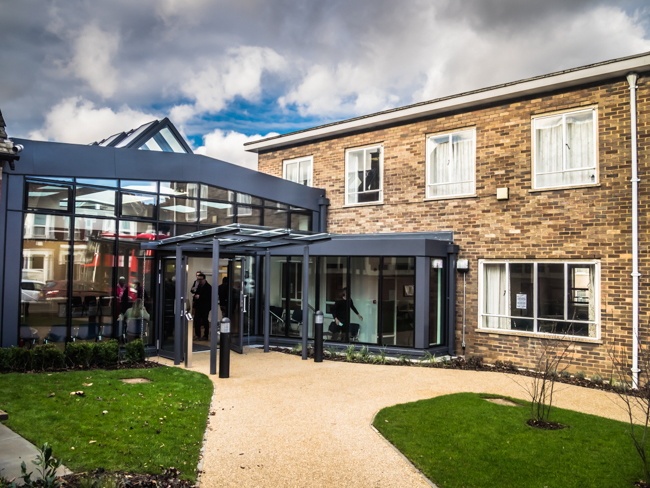 We regularly hold small services in The Hub as well as it being a popular area to have a coffee and chat and where people wait for their children to finish activities. We are currently awaiting new furniture and fittings and an illuminated cross to complete the job. 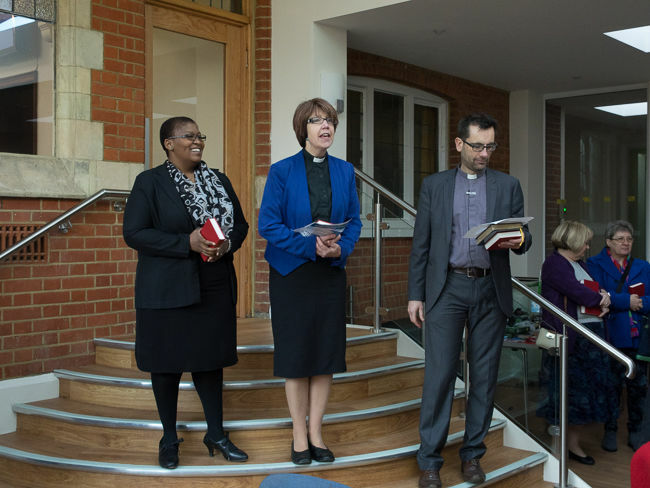 In 2007 the church embarked on Pilgrims Way, a review programme for the churches life and mission. As a consequence of this a small group was formed with a view of thinking about the kind of buildings we need for our future witness and service. After a long period of consultation and discussion, it was decided that we needed to develop the complex to build on the work of those who had set up and church and first hall in 1903/04 and carried out major work on the complex in the 1950/60s. 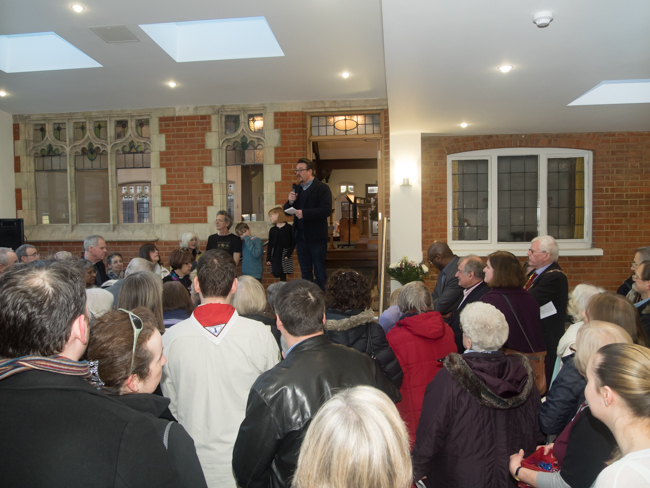 We have an exciting building project which will improve the premises in a way that benefits both the church and the local community and provides the means to bring the two together. 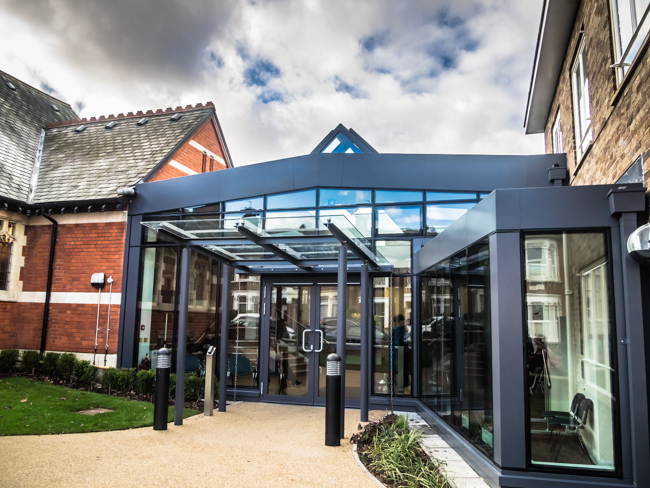 Central to the project is an eye catching bright and welcoming glazed entrance area which will unite the Church sanctuary with the halls and meeting rooms, becoming a central hub from which users will access the rest of the building. The area will incorporate comfortable seating and refreshment areas, hugely improving the welcome we offer to families bringing and collecting children from our thriving youth activities and helping us to reach out to adults as well as children. It will create a space in which young children can be safely supervised and where access can be monitored in a more secure fashion. This would also be an area which could be used for informal worship. The building work will ease access and circulation by reducing the changes in level and introducing easier ramps, more manageable steps and a platform lift. This will extend the proportion of the building which is accessible for pushchairs and for those with mobility difficulties. Planning permission has been obtained and it is proposed to go to tender later this year, with a view to commencing in early 2014, subject to funding. We are confident that the project will open further options to us and will help us to continue our mission as we seek to serve God within our community.